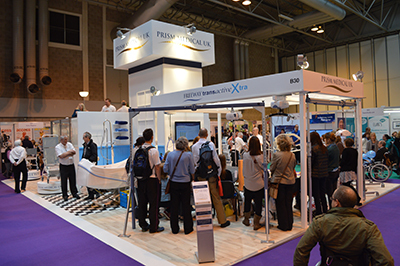 Naidex National once again proved to be a real successful addition to the Prism event calendar for 2014, as crowds flocked to stand B30 to witness educational presentations hosted by the Prism Team and guest speaker Jo-Anne Webb (Senior Lecturer, Directorate of Occupational Therapy, University of Salford). 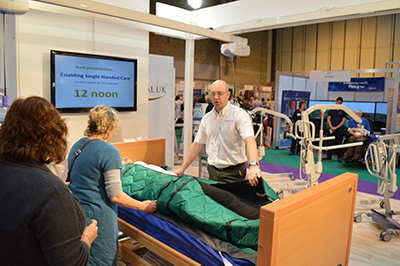 Lesley Louden (Business Development Manager) and Chris Hackett (Training Manager) kicked off proceedings with ‘Enabling Single Handed Care’, allowing attendees to get ‘hands on’ with Prism equipment specifically designed to be utilised by a single carer. 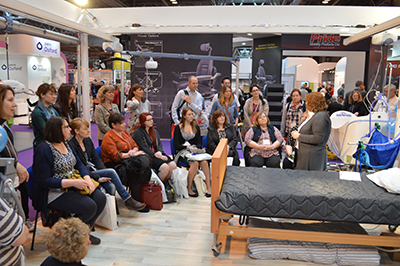 A brief break followed before Jo-Anne Webb took to the limelight to present her research findings on sling fabrics and their effects on interface pressure and comfort in sitting with wheelchair users. Meanwhile, elsewhere on the stand, attendees were among the first to witness exclusive new product launches, including the Prism General Purpose Clip Sling, the Prism General Purpose Clip & Loop Sling and the new range of Freeway Steel Mobile Hoists. Other products on show included the Prism Aluminium Mobile Hoist Range, Prism GK Assisted Baths and a fully functioning Prism Curved Stairlift leading to an elevated meeting area, which proved to be a real hit with clients who were looking to get to grips with the Prism range of products in a more secluded area of the stand. 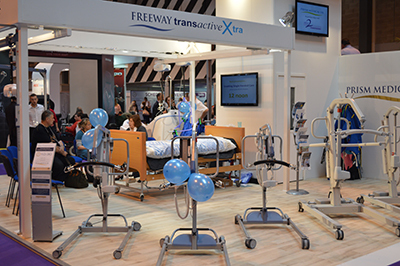 For more information on the products that were showcased at Naidex National 2014, please contact us.